A dagger that awakens in response to the honor of a knight. 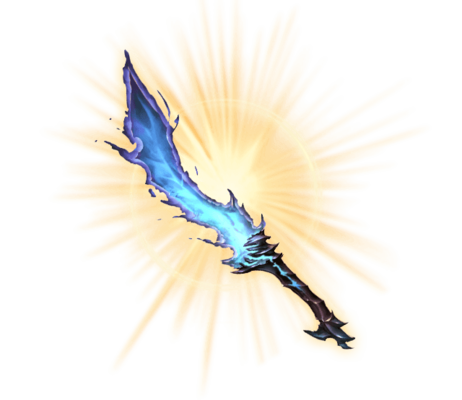 Once an enemy has seen the blue abyss within the blade, it is filled with inescapable terror. Its soul is pulled into the abyss, from which it can never return. Kaumudi Massive Dark damage to a foe.